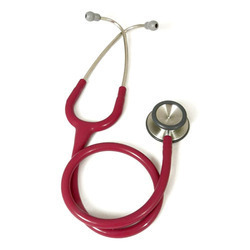 We bring a qualitative range of Medical Stethoscopes widely used by doctors and physicians. Our offered product can also be used in cardiology to listen heart sounds. You can be assured that your decision to purchase a 3m™ littmann® Classic II S. E. Stethoscope for you and your patients is a smart one. As the direct descendant of Dr. David Littmann's double sided stethoscope, it is one of our best sellers. 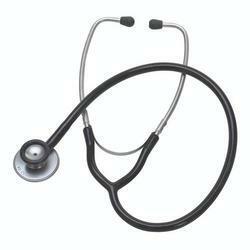 We bring forth for our clients superior quality Heine Stethoscope. High-quality membrane: 44 mm diameter for excellent acoustic performance and sound transmission.